We are most definitely in the depths of summer, so some laziness must be called for. Speaking of laziness, here’s one I’ve been keeping in the hopper for quite a while, and I apologize. I made this about a month ago. You can probably still find rhubarb in the vegetable department of the grocery – most certainly in the freezer section. You may even be able to rustle up enough from your back yard, if you haven’t let your rhubarb go to seed. Rhubarb is an easy-to-grow backyard plant. Many homes in city, town and country have a small patch somewhere. Some patches are decades old. There’s even ornamental rhubarbs that can make quite a dramatic statement in the flower border. I wouldn’t recommend using an ornamental rhubarb for this recipe. Probably would be very dangerous. They’re relatives to garden rhubarb, not siblings. 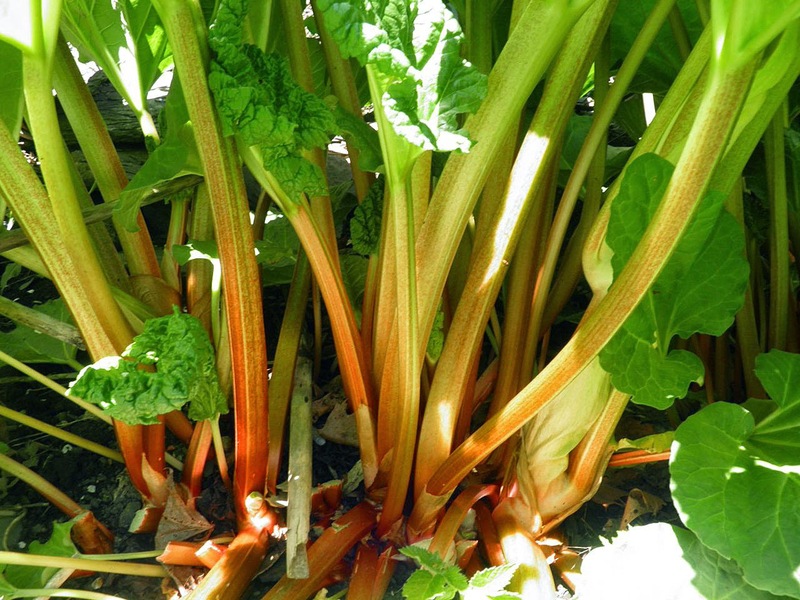 Speaking of danger, there is one about the garden-variety rhubarb, too. Never eat the leaves. Rhubarb leaves contain oxalic acid, which in larger doses is poisonous. This means pets, too, so if fido or fluffy develop a penchant for rhubarb leaves call the vet (just to be safe). 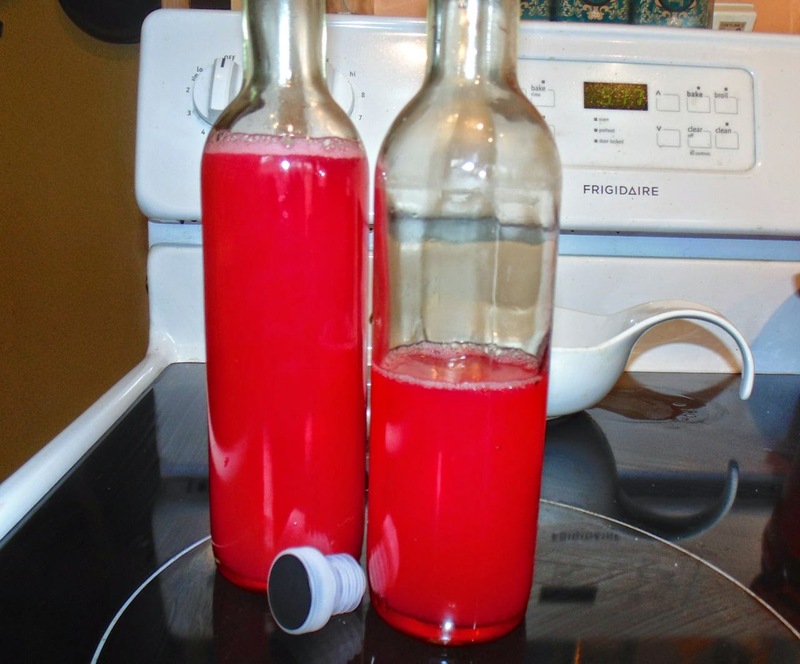 I have posted a recipe for rhubarb liqueur in the past (2011), but this is for a cordial syrup. So for all you tea-totalers, you can easily add summer sparkle to soda and ice. If you’ve had a particularly stressful day or week, serve over ice with gin or vodka and soda. 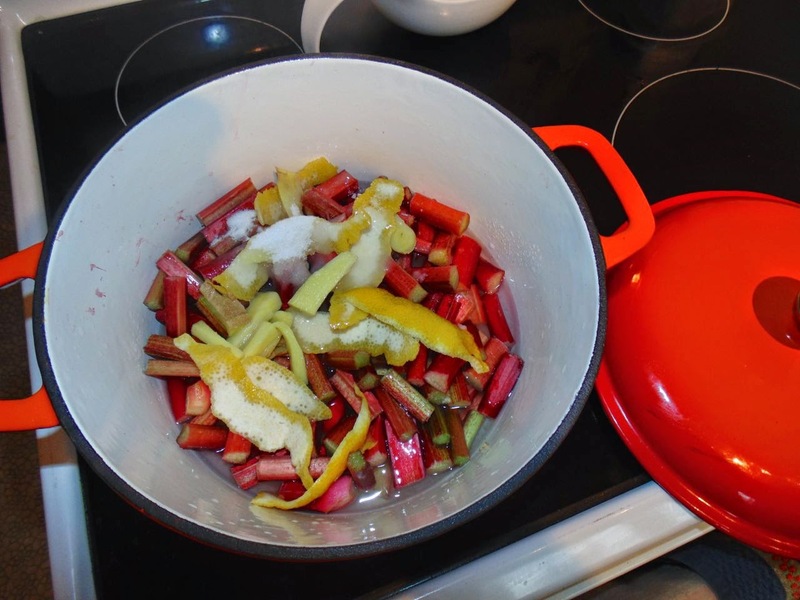 Wash and trim the ends off the rhubarb stalks and then cut into 1” pieces. Place in a pot with a well-fitting lid. You don’t want the liquid to evaporate away. Then add the sugar and water. Cut the zest from the lemon and add to the pot, then squeeze in the juice. Don’t worry about seeds as the mixture will be strained later... Slice the unpeeled ginger into strips and add to the pot. Place over high heat and bring to a boil. Cover the pot, reduce the heat to medium and let cook for 10 minutes. After cooking stir to ensure all the rhubarb is mushy and broken up. Stir in the citric acid and let sit until cool enough to handle. The citric acid extends shelf life. Place a sieve lined with doubled cheesecloth over a mixing bowl. 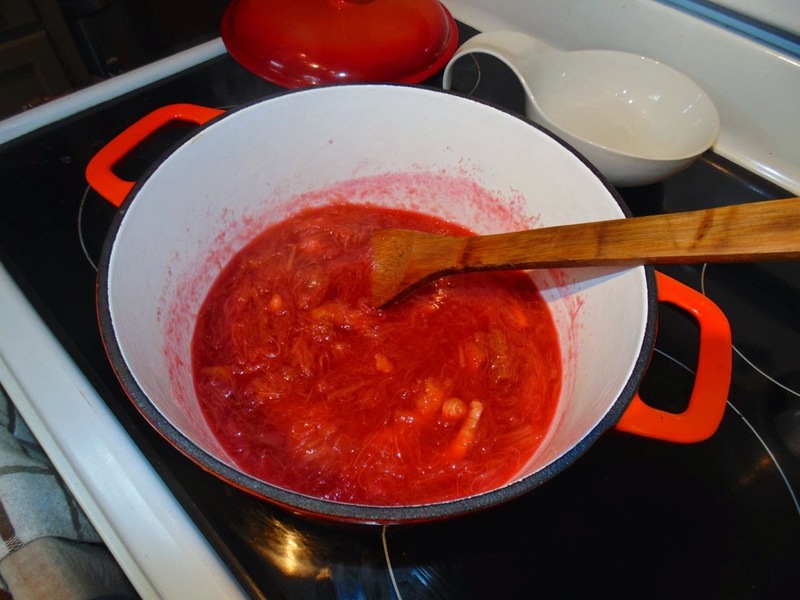 Squeeze the rhubarb through the sieve, pressing down to extract as much juice as possible. 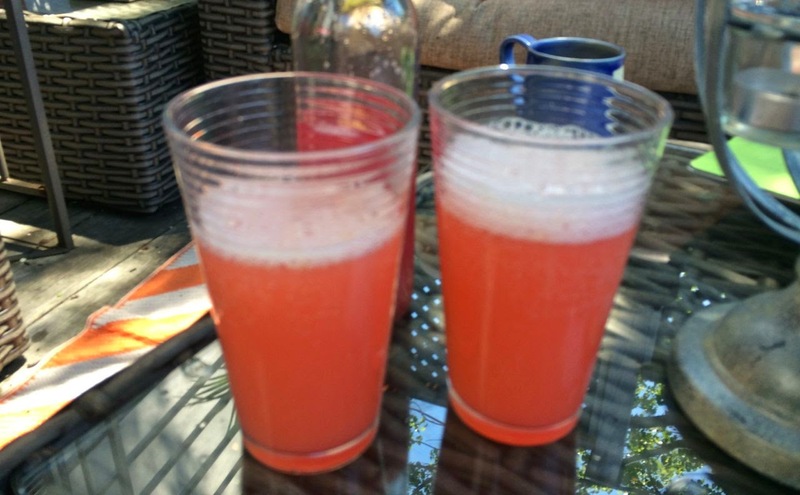 If you’re over-zealous and some rhubarb pulp makes its way into the strained liquid you can re-strain or leave it. It will add some “texture” to your drinks (like orange juice with pulp...). Discard the remaining solids. Pour the juice into a sterilized bottle and refrigerate. Use as you desire in mixed drinks with soda or tonic. The cordial will safely last for one week, refrigerated.